Forum Index > Historical Arms Talk > 1796 Light Cavalry Sabre Markings? Posted: Mon 06 Nov, 2017 3:29 pm Post subject: 1796 Light Cavalry Sabre Markings? I received a P1796 light cavalry sabre in the mail today, and I'm very pleased with it. 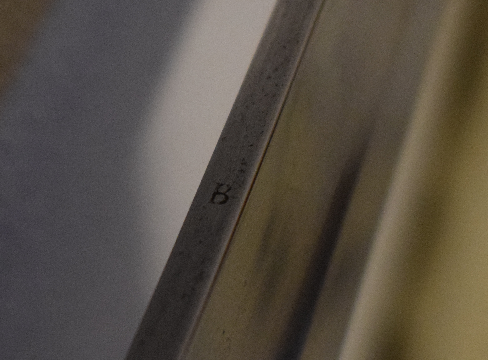 However, there are two B's stamped into the spine of the blade, and I'm not entirely sure what to make of them. 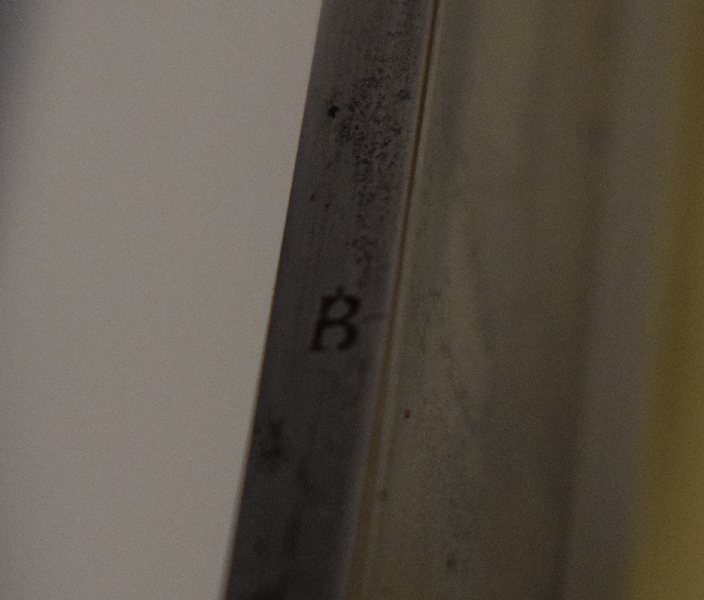 The seller stated that they indicate the blade was made in Birmingham, which seemed plausible considering the scabbard reads Woolley, Deakin and Dutton (although the sabre doesn't bear a maker's mark, and mismatches between unmarked sabres and scabbards are known to happen http://abitofhisory.blogspot.nl/2013/11/the-b...lry.html). However, after some googling, another seller says they are bench test marks https://www.antique-swords.eu/687-British-1796p-Cavalry-Troopers-Sabre.html. In any case, can any of you confirm what the B's stand for? One is located at the point of balance, and the other one about 4.7" (12 cm) further down the blade towards the point.